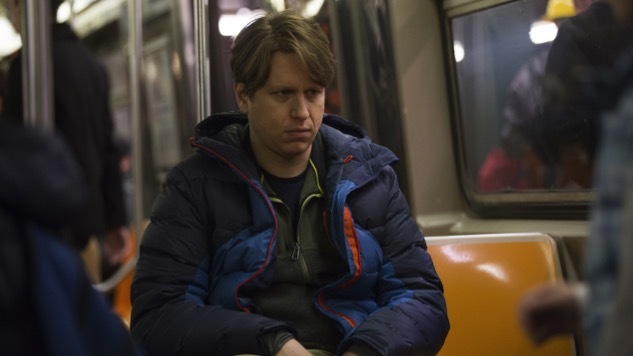 Crashing, HBO’s new comedy from star Pete Holmes and executive producer Judd Apatow, has been renewed for a second season only four episodes in. The story being a semi-autobiographical one for stand-up Holmes, the show follows Pete’s initially homeless misadventures in the New York comedy scene just after leaving his cheating wife. Heavily featuring actual comedian guest stars, this season has seen Sarah Silverman, Artie Lange, T.J. Miller, Hannibal Burress and many more of Pete’s real-life friends and peers on the show. HBO executive vice president of programming Amy Gravitt said of the show today, “Pete and Judd have proven to be the ultimate ambassadors for the stand-up comedy world. I’m delighted by the response to the show and am thrilled to welcome them back for a second season.” Crashing is currently halfway through its first season, with the next episode set to air this Sunday. You might already know of Holmes’ work from his many late-night appearances, his own canceled TBS talk show or his stand-up. Ol’ Peteypants also has a popular podcast called You Made it Weird, and you can check out our 15 favorite episodes of that here. Be sure to check back with Paste for word on when we find out more about Crashing’s second season.